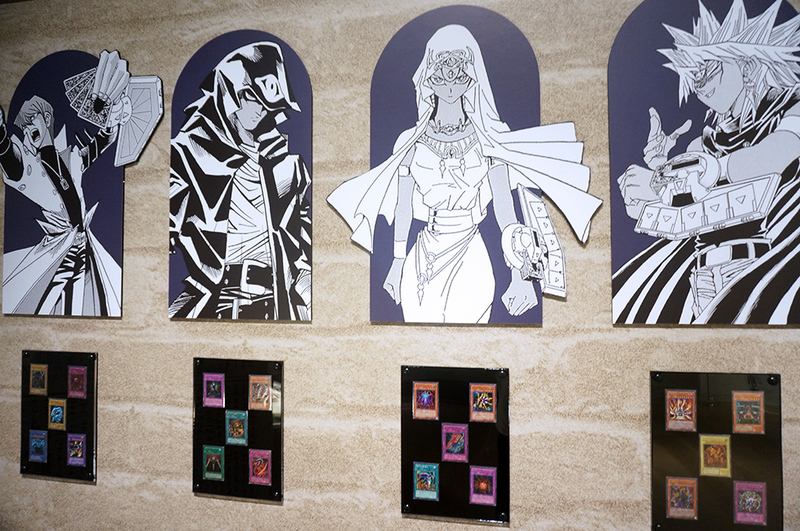 In celebration of the 50th anniversary of Weekly Shonen Jump, exhibitions were being held to showcase the history of various manga that were published in Weekly Jump. Weekly Shonen Jump Exhibition VOL.2 is held between 19 March to 17 June 2018, and manga of the 1990s are on display. 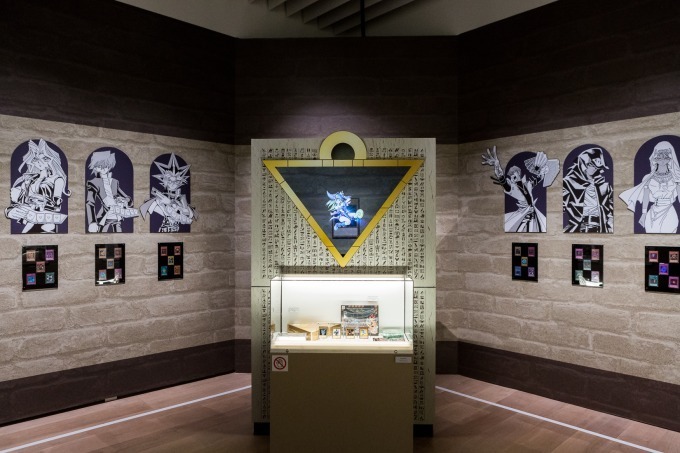 Dragonball, JoJo’s Bizarre Adventure Part 3: Stardust Crusaders, Slamdunk, Yu Yu Hakusho, Rurouni Kenshin, and of course, Yu-Gi-Oh!, are some of the titles that are featured in this exhibition. This article will focus on the Yu-Gi-Oh! portion of the exhibition. 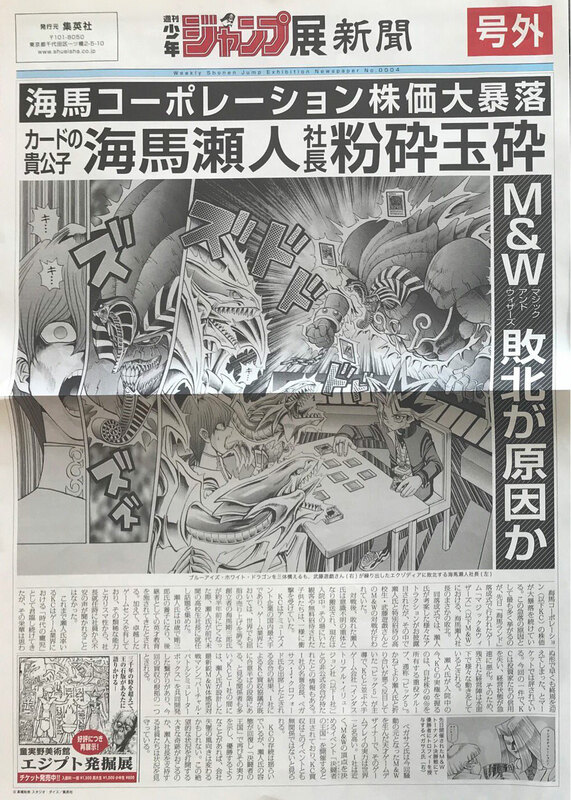 To promote the exhibition, Weekly Shonen Jump came up with 4 different newspapers, each covering a momentous event from different manga on the front page. The Yu-Gi-Oh! edition features Kaiba Seto being defeated by Exodia in the Death-T arc. “What caused his defeat in M&W (Magic and Wizards)”. 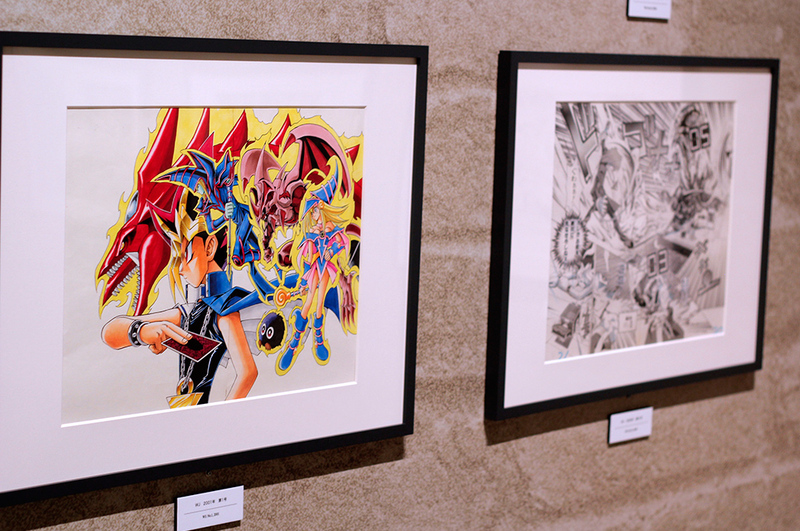 Below the manga portraits of the duelists, actual Yu-Gi-Oh! OCG cards of their signature cards are being displayed. 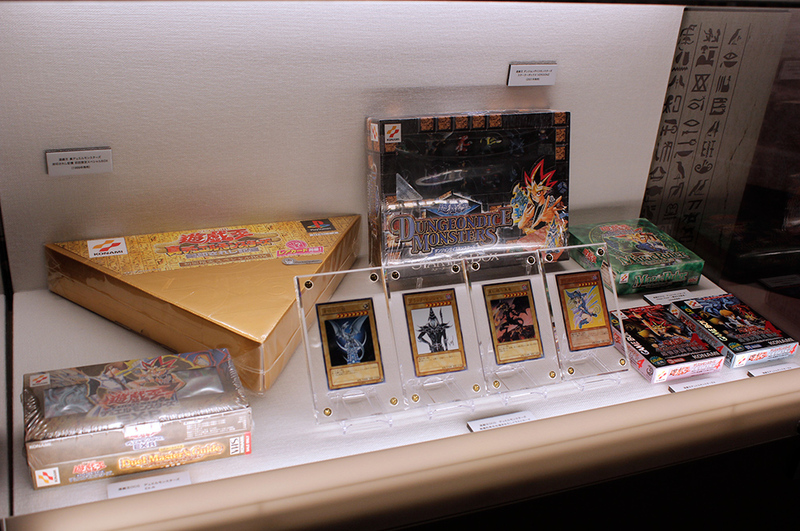 Antique OCG products such as EX-R, Magic Ruler and Dungeon Dice Monsters Starter Box can be seen in a display case. Many of these products were first sold over 18 years ago and have long been discontinued. 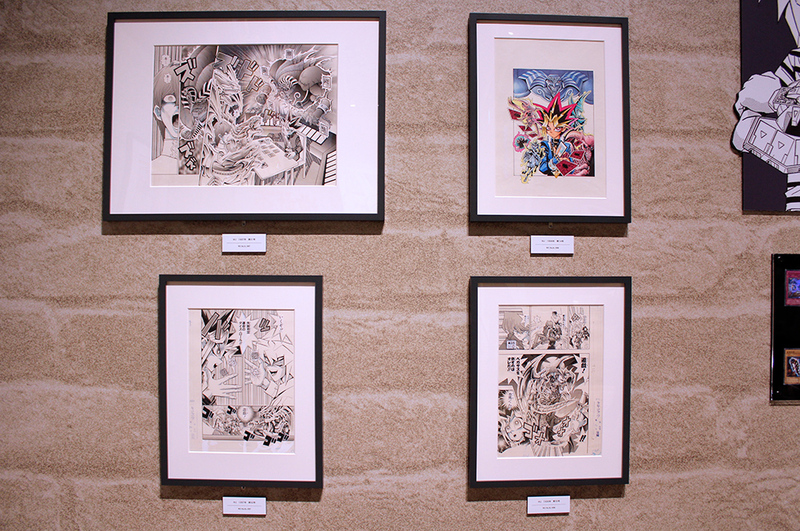 Original manuscripts drawn by Takahashi Kazuki are also on display. Comments written in blue ink by the editor can be still be seen on some of the manuscript. The only OCG-related merchandise on sale at this exhibition is this playmat featuring Kaiba Seto and Blue-Eyes White Dragon. This is a very recent artwork drawn by Takahashi Kazuki, taken from the Dark Side of Dimensions prequel manga – Transcend Game. Replicas of the original manuscripts, artboards, can badges and various other merchandises are also available. 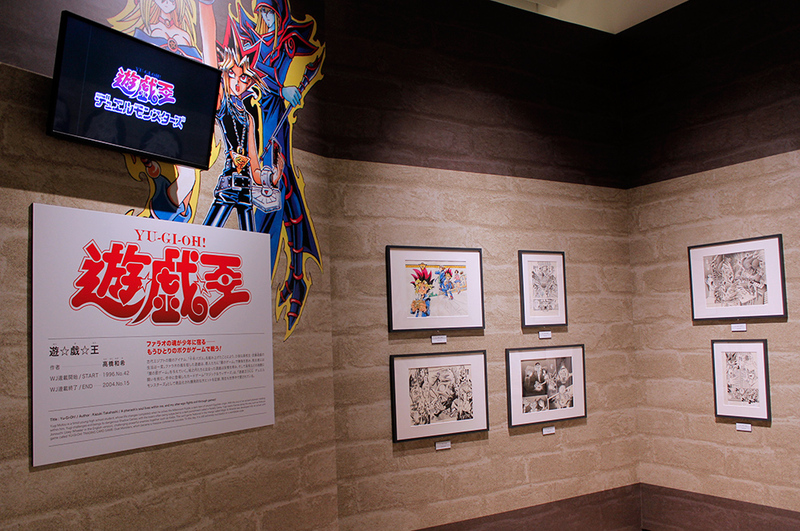 The Weekly Shonen Jump Exhibition VOL.2 is currently taking place in Mori Arts Center Gallery, which is located in Roppongi, Tokyo. This exhibition is a ticketed event and is opened daily until 17 June 2018. 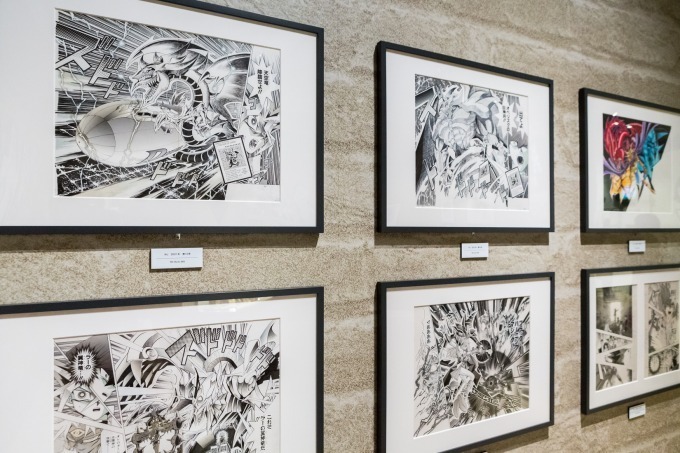 For those interested in visiting, learn more about the exhibition from their official website: 50th Anniversary Commemoration Weekly Shonen Jump Exhibition.